Heat oven to 425°F. In small bowl, mix all sauce ingredients. Refrigerate until serving time. Bake fish as directed on package. Cool slightly. In medium bowl, toss coleslaw and cilantro. 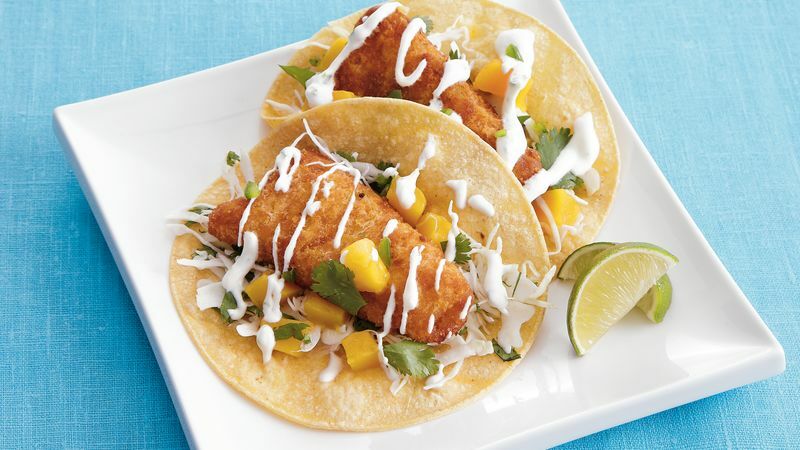 Place 1 fish fillet on each tortilla; top evenly with coleslaw mixture and mango. Drizzle with sauce. Squeeze lime over each taco before serving.